This is another work in which I have lengthened the arms as I did in The Spirit of Freedom. When a man or woman is reaching out to the world, as we all do when we are seeking learning or love or change, sometimes it is a long way to reach. 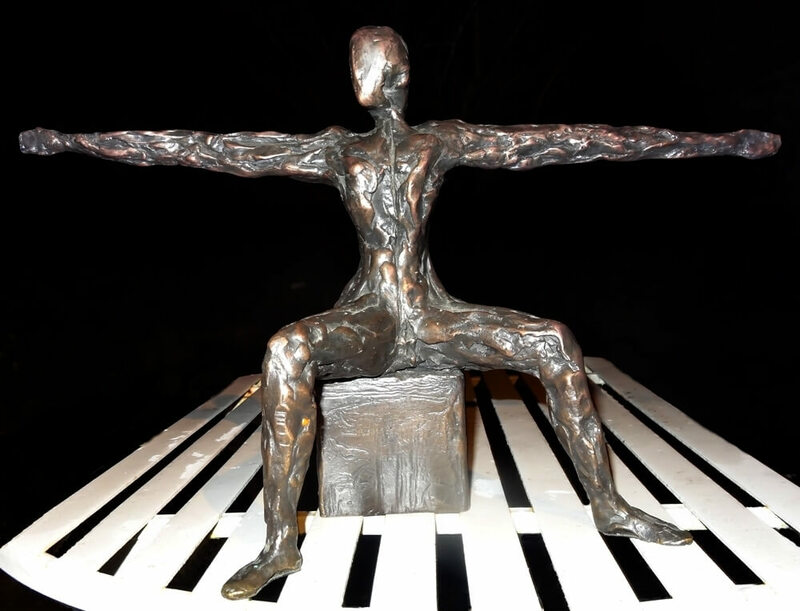 This seated man reminds of the feeling that Antony Gormley created with his heroic and wonderful Angel of The North. I wonder have you ever looked at César’s work, because I think this could possibly be where Antony may have found inspiration from the various works that he did. In particular, look at L’Homme de Villetaneuse 1959; L’Homme – Oiseau 1980 and L’Homme du Future 1987/88. Of course many of Antony’s sculptures use steel, whereas I use almost only bronze. These wonderful creations by sculptors who I recognize as my heroes have all played a part in my Breadth of Mankind which I made many years ago. I still have it in the wax in my studio. The first bronze 1/8 was cast by Burleighfield and I now intend to enlarge the work by 5 or 6 times and make a whole new major work of art from it.